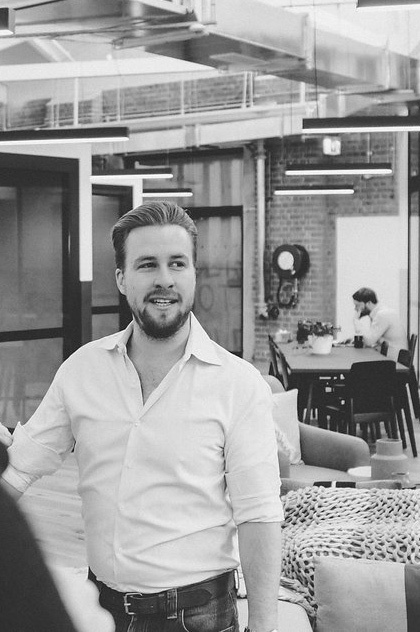 We catch up with entrepreneur Jack Delosa at his office in Sydney’s Pyrmont early one Monday morning. At age 30, Delosa has already amassed some seriously impressive achievements. 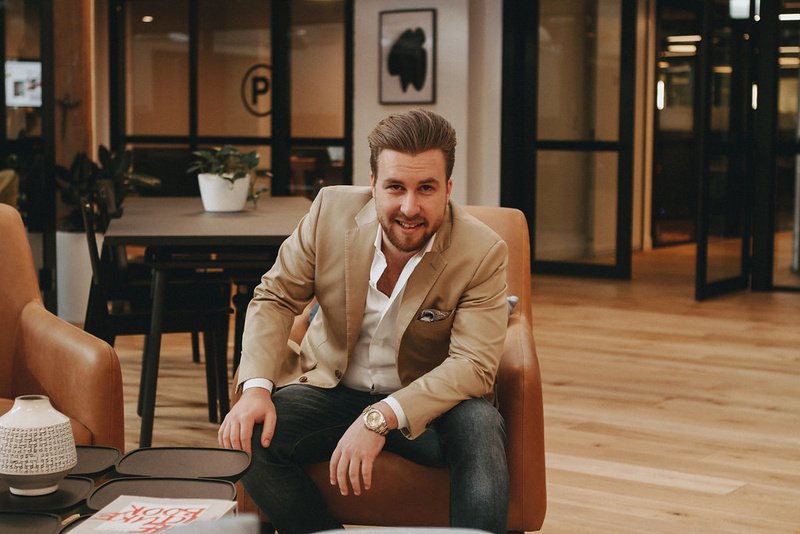 After dropping out of university, Jack has gone on to be featured on BRW’s Young Rich List, built the million dollar company The Entourage, which has been awarded the 4th Best Place to Work in Australia and published two books. His personal style is a combination of classic and casual - preferring to pair a crisp white shirt and structured Oscar Hunt blazer with soft denim jeans and boots. His colour combinations are light and fresh - white and pale pink shirting with a light blazer, blue denim and a paisley printed pocket square. The Entourage office is bright, open, slightly industrial, and a hive of activity. Jack is full of energy and warmth, juggling meetings and filming for his video series ‘Unscripted’. OH: You’ve established yourself as a quote ‘unprofessional’ professional in the entrepreneurship space - and are known for doing it with style. Tell us a bit about what you do? JD: What's driven me over the last decade and what will continue to drive me over the ones to come is helping people be a success on their own terms and create a meaningful life. 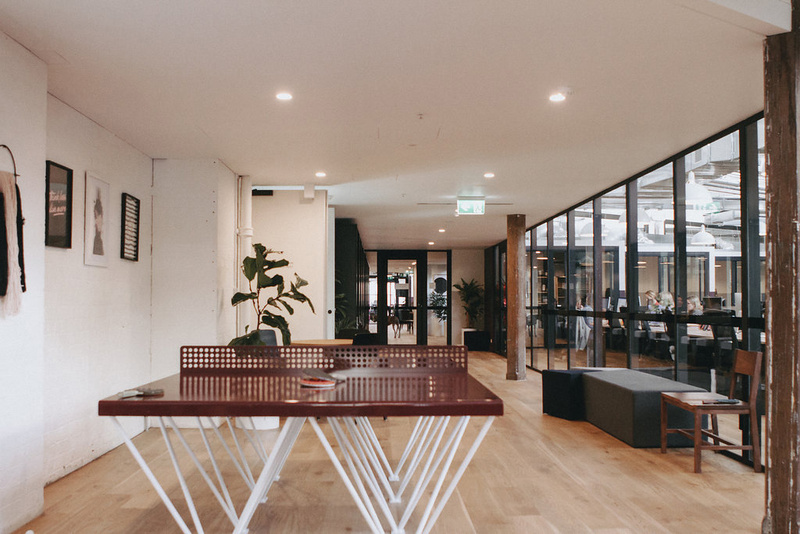 I founded The Entourage, Australia's leading education institution for entrepreneurs, out of a dissatisfaction with the current education industry. Our vision at The Entourage is to push civilization forward by enabling people to live on purpose, and our mission is to become the World's #1 education institution for entrepreneurs and innovators. OH: Why do you think an education is so important? JD: Entrepreneurship is a skill that can be learned. Everything is a skill. I don't buy the argument there are certain people who are superior, who have the intelligence and personal characteristics to be entrepreneurs. Talent is overrated; academic research has now proven that. I don't believe I'm naturally talented at business. I've become very competent at building businesses but it didn't come easily. But if you work hard and commit yourself to ongoing learning, you really can achieve anything – the world is a lot flatter than it used to be. OH: Tell us a bit about your first foray into business? JD: My first business venture was a call centre that was in the red for most of the two and a half years I ran it. I regard that period as my apprenticeship. OH: Three lessons you’ve learned you wish you knew when you were starting out? JD: Firstly, the growth of your business is determined by your level of personal and professional growth. Secondly, the consumer is king. Great businesses are consumer-first businesses. Lastly, the challenges will never stop and the challenges are there to ensure we’re able to rise to the next level of our own growth. That means always living outside your comfort zone and you need to learn to enjoy that. OH: Do you remember your first suit? JD: My first suit wasn't great. The classic rookie error - far too big and baggy. I'm glad I've since woken up to the fact that a nice fitted suit can make all the difference. OH: How has your style evolved over the course of your career? JD: It has become more diverse and confident. I think as you build confidence in your decision-making when it comes to fashion, the more you experiment. While not every experiment is a success, I certainly have fun trying! OH: When getting a suit or garment made for you, what’s important to consider? JD: Fit and personality. It needs to be fitted to the person and reflect the personality of the individual. OH: What’s your idea of luxury? 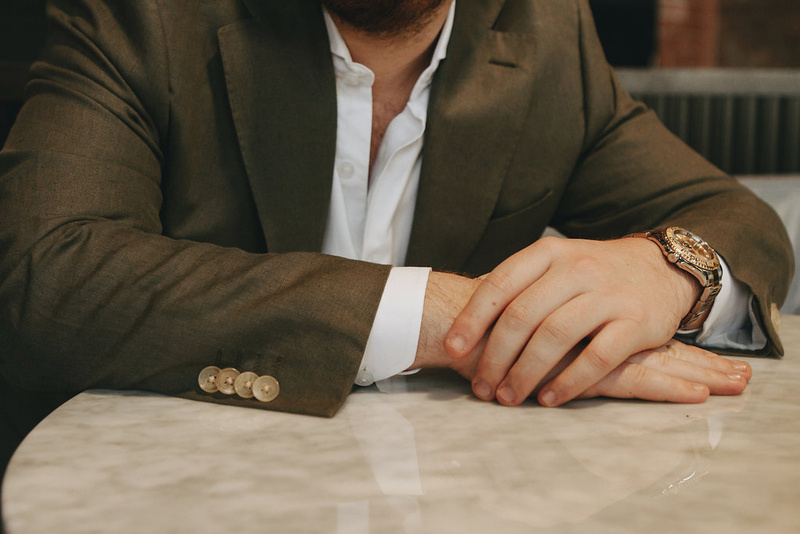 JD: A nice suit, a complementary watch, and the right (not too many) accessories. Being dressed well has a way of giving you a confidence and a comfortability to be yourself. OH: What accomplishment are you most proud of? JD: The culture and community we have created at The Entourage. Our team internally are unrelenting in their pursuit of educational excellence for entrepreneurs, and our community of 300,000 entrepreneurs has a camaraderie and an engagement to it that I haven't found anywhere else in the world. It's all about people and at The Entourage, we attract exceptional people.